This is the second title in the Ian and Sovra series, following The House in Hiding which we published earlier this year. On the shores of Loch Fionn, a chance remark overheard one winter afternoon arouses Ian and Sovra’s suspicions and sets them on the track of a gang of sinister deer-poachers. With their friend Alastair Gunn, now living at Kindrachill, they plan to outwit the gang and soon find themselves in a pursuit packed with adventure. In this, the third Ian and Sovra story, the pair discover that life in Edinburgh can be as thrilling as life in their own Western Highlands. For there they meet Cathie, who's escaped from an orphanage. They smuggle her out to a secret hut on the coast, where, after her rides in lorries and rolls of carpet, she's only too delighted to enjoy the free outdoor life of her new friends, while Ian and Sovra do a spot of detection for her. How they solved the mystery and found that this land of mountains, lochs and white sand really was Cathie's home is told in this exciting new adventure. Martin Reed goes to spend a holiday with a family in Wales as his father is ill. He does not find the family very congenial, but this does not deter Martin who quickly makes friends with some wild children called the Burnets. They have a wonderful secret which they soon disclose to Martin - the undiscovered ruins of a castle. 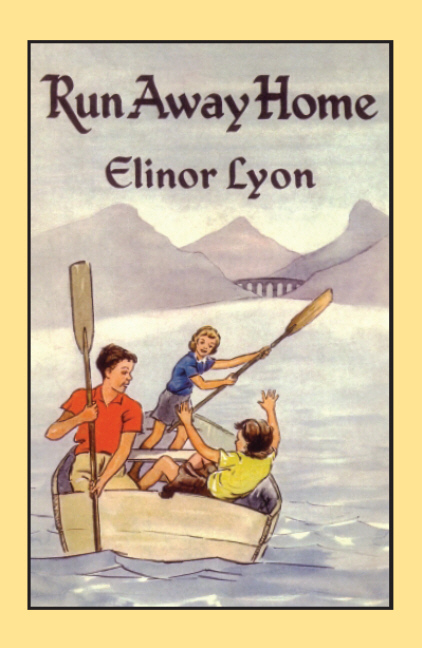 Elinor Lyon was born in Guisborough, Yorkshire in 1921 and educated in Oxford before spending time in Switzerland and then reading English at Lady Margaret Hall, Oxford. After serving as a radar operator during World War II, she married Peter Wright, whom she had met whilst he was teaching Classics at Rugby School where her father was headmaster. Elinor and Peter remained in Rugby until he retired in 1975, when they moved to a cottage in the countryside near Harlech, Wales. 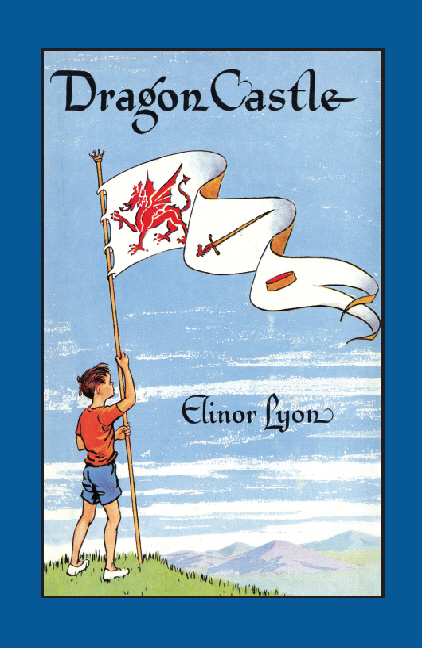 Elinor Lyon passed away on 28th May 2008 following a massive stroke. She was very dear to everyone at Fidra Books and shall be greatly missed. 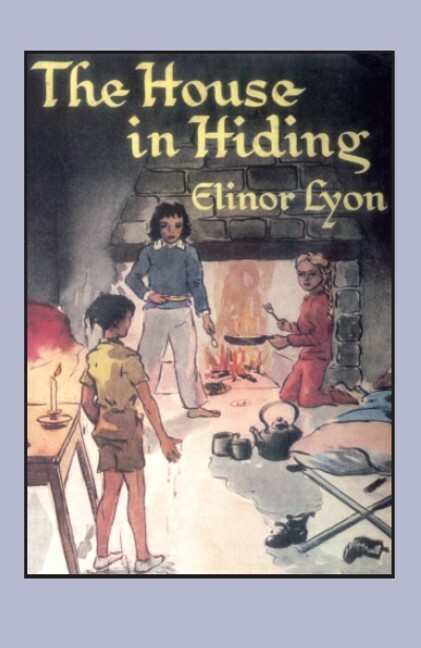 Although Elinor wrote many books, the ones for which she is best known are those featuring Ian, Sovra and Cathie. We started with the first in the series, The House in Hiding. The books are set on the west coast of Scotland, around Arisaig and capture the essence of the area wonderfully. Although the writer has a distinctive voice of her own, the characters get into marvellous adventures in the best traditions of the genre. 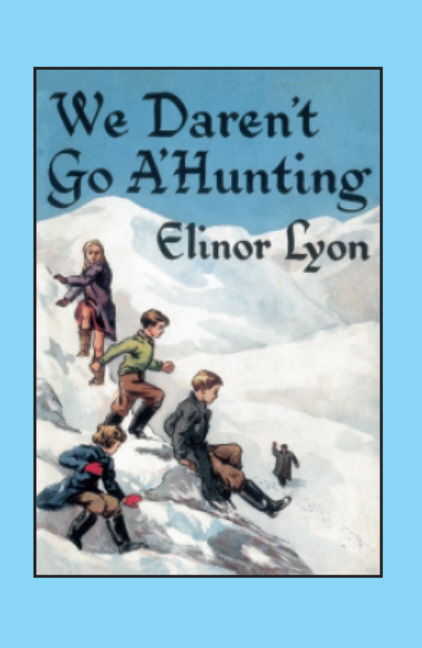 As Ian and Sovra say to their new friend Ann in We Daren’t Go A’Hunting: “Stay with us and you won’t be bored. You may be seasick or ship-wrecked or drowned or lost or burned or killed by falling over a cliff, but you won’t be bored.” However, adventure is only part of the story – the books also have strong themes of loyalty and friendship, without the chauvinism of some writers. The female characters such as Cathie and Sovra are seen as equal and capable rather than as ‘just girls’. When published, Elinor’s books were widely praised by reviewers although only one was ever issued in paperback and many of them are very hard to find – we are confident that the Fidra Books editions will be popular!